I've teamed it with the new Thick Very Vanilla cardstock base, Basic Black layer & the stunning Lemon Lime Twist paper from the new Eastern Palace Designer Series Paper (DSP). I've also used the Natural Trim with Silver, the Vanilla side of the Lace Doilies & a Falling in Love embellishment (vanilla flower). 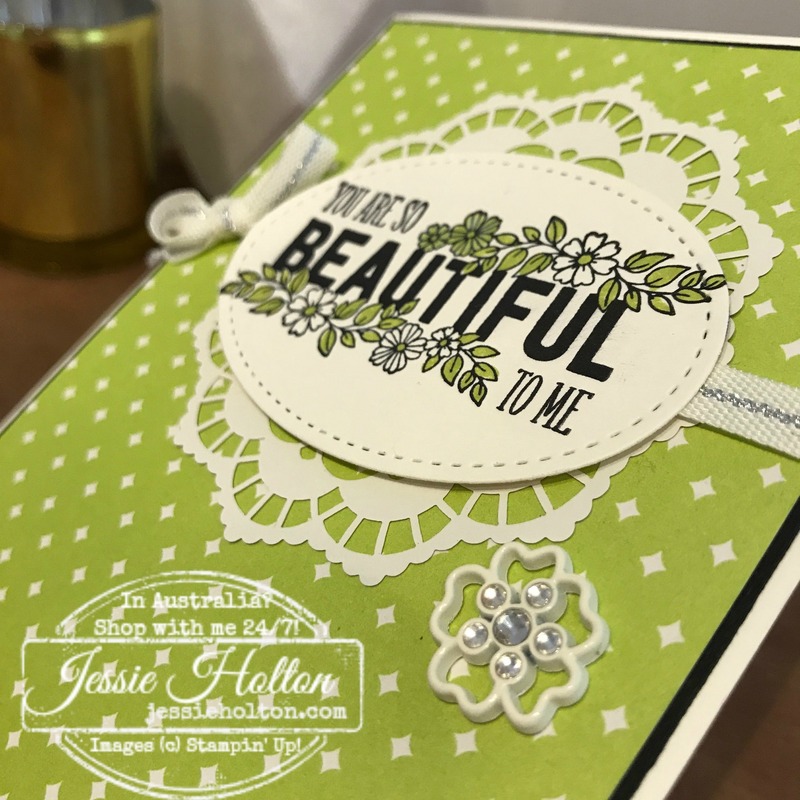 You could also make this card with Gray instead of Black & it would look gorgeous! The sentiment has been cut out with the second largest oval from the Stitched Shapes Framelits on the Big Shot. Don't you just love the stitched edge? So sweeet! 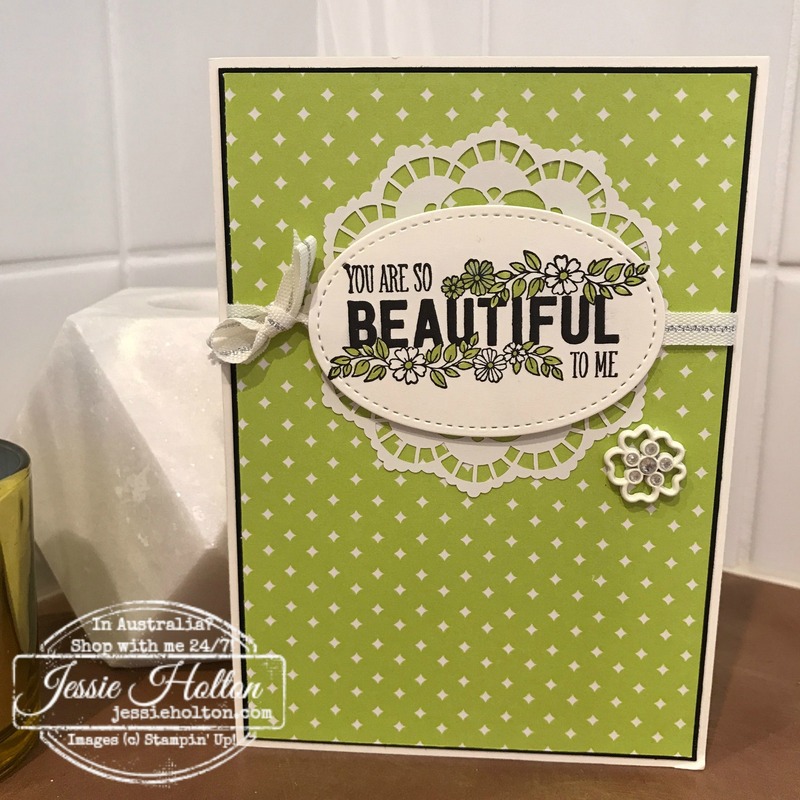 And I've stamped the inside to match with another sentiment from the Just Add Text stamp set & the little branch & flowers is from the new Colorful Seasons stamp set. Here's the new Colorful Seasons Bundle. This is another really gorgeous set & it's fast becoming a fave! 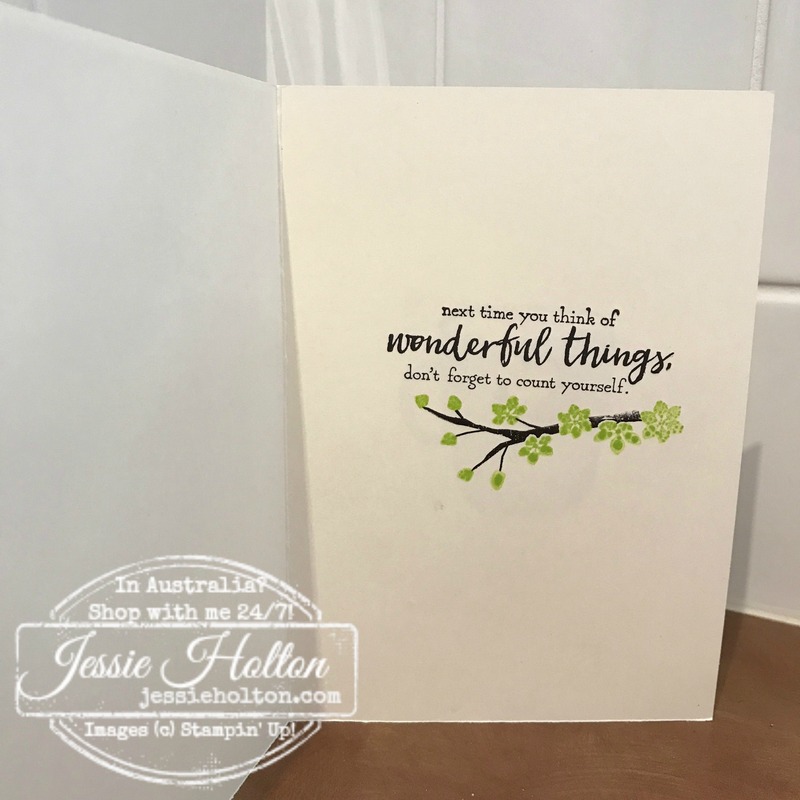 See some more cards I've made with the Colourful Seasons set here.